Sign Up Online for Congress Pair Go! 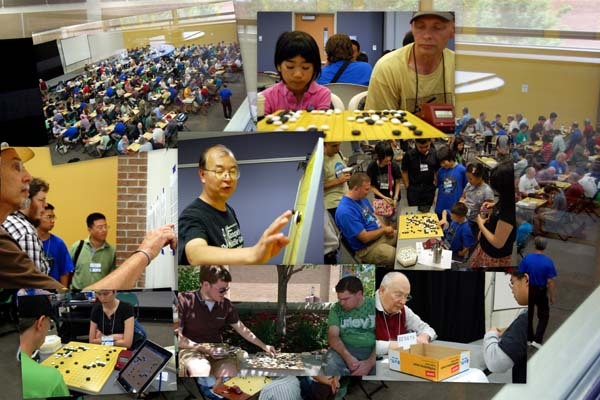 The North American Pair Go Championship is not only a great opportunity for people to have fun and play Pair Go, but also a chance for top pairs to compete to represent North America internationally. The top eight pairs will compete to earn a trip to the International Amateur Pair Go tournament in Tokyo from November 18-22. Winners will receive complimentary hotel and meals while there, and must cover only a small portion of their airfare. Anyone interested in playing in the Pair Go Tournament can sign up online. Pairs interested in competing for the trip to Japan should also email tournaments@usgo.org to express their interest. The eight top-rated pairs will play on Tuesday night, during the open Pair Go Tournament, with a final round played later in the week. This year’s U.S. Go Congress attendees will be able to meet GoGoD authors T Mark Hall and John Fairbairn when the two bring copies of the brand-new Summer 2011 edition of the GoGoD database and encyclopaedia to the States. “The crop of new games for various top players has been unusually large this year,” Hall tells the E-Journal. “We have new games for Kitani Minoru, Takagawa Kaku, Hashimoto Utaro and Sakata Eio.” Hall also says that “with much eye-rubbing,” they’ve found Honinbo Jowa’s earliest known game. Additions to the latest CD also include a number of New Fuseki games from Autumn 1933, “a key period in this movement, and these will illuminate the period especially for those who have our latest book: Old Fuseki vs. New Fuseki.” Another sidelight on that period is provided by the very large number of games by Segoe Kensaku just added. ”Of course, routine games have not been neglected,” Hall promises. “The latest games are there en masse and Fujisawa Hideyuki has now become a milligod, as we have at least 1,000 of his games. The entire GoGoD game collection now comprises some 68,127 games. 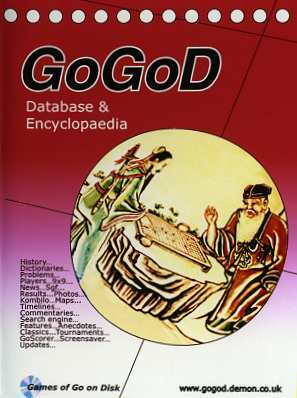 The cost for GoGoD – which in addition to the games includes the extensive encyclopaedia – is $30 for a single copy or $40 for a copy plus one update. 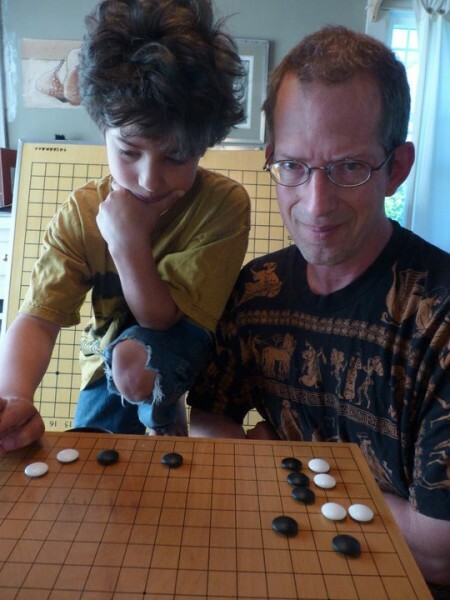 Balwit started showing up on the radar in 2008, according to longtime organizer Peter Freedman: “For a number of years he had taught chess in the public schools, but about the time I met him he had recently fallen in love…with go. He morphed his chess clubs into ‘chess/go clubs’, but in fact all his chess clubs became go clubs. During 2008 he had clubs in seven schools. As a result of his efforts over 125 children and youth were exposed to go, and 90 played in one of the school go clubs. Fritz also ran several go camps during school breaks.” Many of the programs Balwit launched in 2008 continued in the following years, and he is running five programs now. “I’ve assisted Fritz teach at many of these schools,” adds Freedman, “I call him ‘the pied piper of go’ in Portland. He has a magical way with children. He is gentle, funny, articulate, gives out tons of positive reinforcement, and continually amazes me with the way he explains go to children, making it more than a game. He talks about how in go you must share, just as in life. When talking about building a wall, he remarked, ‘If you don’t play here there will be a little hole for a ferret to crawl through. You don’t want a ferret running around in your house, do you?” Actually, Fritz has two ferrets running around his real life house, along with three children ranging from elementary to middle school age, all of whom play go. One of them was his assistant in the go club he organized at her school.” Balwit has won an all expenses paid trip to the US Go Congress in Santa Barbara, where he will be honored at the awards banquet. He will be speaking at the congress as well, in a special round table for teachers, and anyone who wants to work with kids, on Tuesday, Aug. 2, at 5:00 pm. -Paul Barchilon, E-J Youth Editor. Photo by Fritz Balwit: Balwit (r) teaching his son Theo (l). Gansheng Shi 7d and Aaron Ye 4d placed first in the Redmond Cup qualifiers, held online over the past few months. The Senior Division, for kids aged 12-17, was dominated by Shi, a 17 year old Canadian, who won the Redmond in 2008 and 2009. He was undefeated in the qualifier, but faced very strong competition from his own country, with Tianyu Lin 7d, age 14, and Jianing Gan 7d, age 15, almost making it to the finals. From the U.S., three-time Redmond champion Calvin Sun 7d, age 14, fought his way into the top four. Sun got off to a a rough start, losing in rounds 2 and 3, but then rallied, defeating both Gan and Lin in a playoff to earn the right to face Shi at the Go Congress. In the Junior Division, for kids under the age of 12, nine-year-old Aaron Ye 4d was undefeated. He faced strong competition from a bevy of pint-sized prodigies in the Bay Area, including last years USYGC champion Kevin Fang. It was Sammy Zhang 2d, age 11, who held his ground though, making it to the finals for the upcoming playoff at the Congress. All four finalists have won a free trip to the US Go Congress, to compete for the Redmond Cup. The final matches will be held on July 31, Aug. 2, and Aug. 4, at 3p PST, and will be broadcast live on KGS. - E.J. Youth Editor, Paul Barchilon. 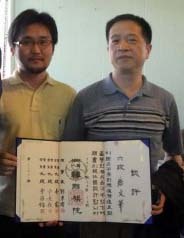 The Members Edition of the E-Journal includes a game review of Sun’s final match with Lin by Feng Yun 9P. Sun catches a large dragon to make a decisive win, but Feng Yun shows us how Lin could have escaped with a throw-in. To get the EJ Member’s Edition, click here for details on AGA membership. With registration for the 2011 U.S. Go Congress — July 30 – August 7 in Santa Barbara, CA — on a record-breaking pace, every playing attendee who registered by 11:59pm PDT on June 1 “will receive our first discount of $15 off registration!” reports Congress Director Lisa Scott. “Register by 11:59pm PDT on July 5 to be eligible for our second discount of $15 off every playing attendee!” Scott adds, noting that all current registrants will also receive this second discount as well. Email Scott at lisa.scott@gocongress.org with any questions. Starting this week 2011 U.S. Go Congress attendees will be able to register online for tournaments, the first time this has been possible. “We really want TDs and attendees to get a better idea of what tournaments there are and how they can participate in as many as possible before the Congress starts,” Congress Director Lisa Scott tells the E-Journal. “Attendees will be able to sign up for other events in the next few weeks as well.” In addition to these new features, the Congress transportation information has been updated to include more airline discount codes, resources for land travel, and information about bikes and other rentals in Santa Barbara. “We are so excited about everything that this year’s Congress has to offer … we can’t wait for it to start!” says Scott. Reach her at lisa.scott@gocongress.org with any questions. 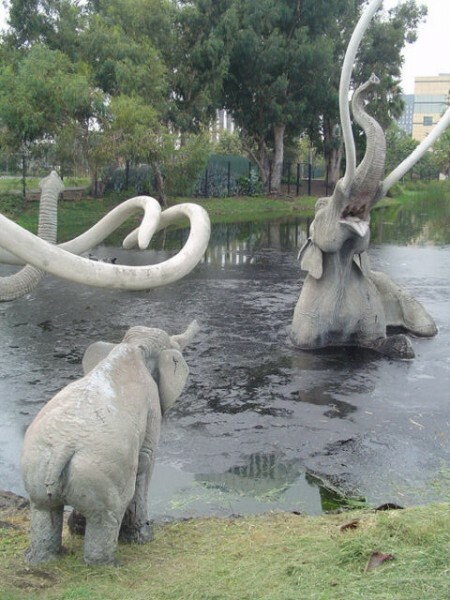 From the Hollywood Hop On Hop Off Tour to the La Brea Tar Pits (r), Deep-Sea Fishing, Whale Watching and Tandem Skydiving, this year’s U.S. Go Congress has a record number of local activities planned for non-players. Click here for the complete line-up. “We are really excited to have so many events that will help our attendees explore southern California!” says Congress Director Lisa Scott. The Congress will be held July 30 through August 7 in Santa Barbara, CA. 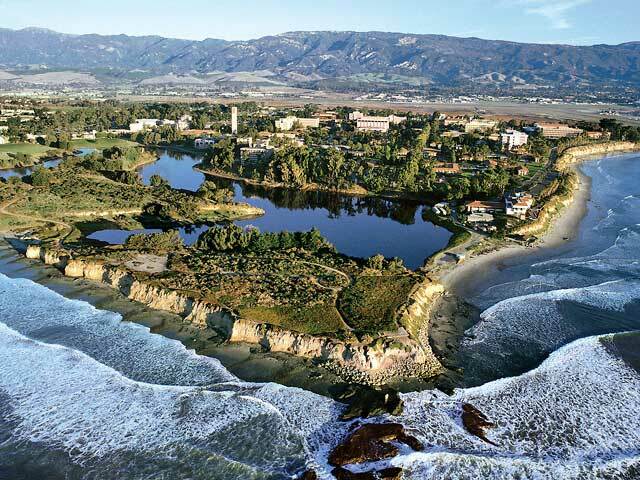 “We are particularly excited to have arranged for golf events at the Santa Barbara Golf Club,” Scott added. Those interested can contact Steve Colburn at steve.colburn@usgo.org with name, preference for 18 holes (the AM event) or 9 holes (the PM event).